The Disney’s animal kingdom is one of the most prominent theme parks located in Walt Disney World Resort in Bay Lake, Florida in the southwest of Orlando, United States. This theme park was completed and was made open to public on 22nd of April, 1998 on the Earth Day. It is the second largest theme park ever and the largest theme park by Disney, around the world. 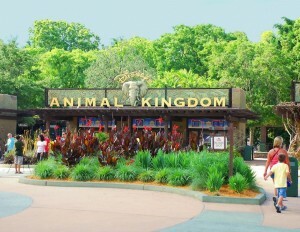 The Disney’s animal kingdom covers a huge area of five hundred acres. In the year 2013, this theme park hosted an approximate of 10.19 million guests. 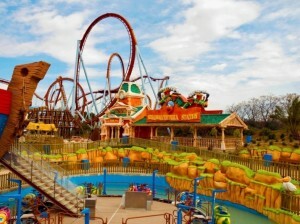 Known as the world’s largest theme park, Six Flags Great Adventure & Safari lies in Jackson, New Jersey, United States. The park is owned by Six Flags Entertainment Corporation, a company that owns around eighteen properties across North America, the properties that include water parks, thrill parks, theme parks and a lot more. This theme park was opened to public in the year 1974. The park is spread over a land of five hundred and ten acres and is also used for concerts from world’s renowned music artists. 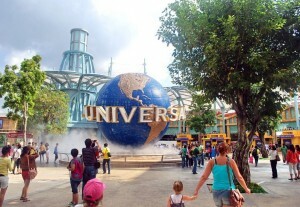 Universal Studios Singapore is a mega theme park located on Sentosa Island, Singapore. 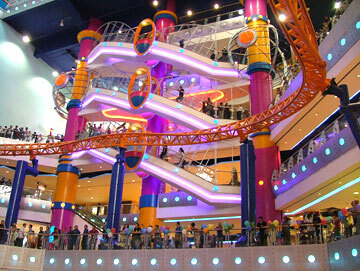 The construction of this huge theme park began on the 19th April 2007 and it was opened to public on 18th March 2010. This is the second theme park by Universal Studios in Asia with the other one in Japan. Within nine months of its opening, this theme park has attracted more than two million visitors. According to the park’s management, it is one-of-its-kind theme park in Asia. The PortAventura Park is located in Barcelona, Spain. It is a home to more than four million people from all over the world. The PortAventura Park is known as the sixth most visited theme park in Europe. There is an aquatic park, four luxury hotels and a hell lot more that exceeds anybody’s expectations. There are two airports which are located nearby including the Reus Airport which is only at thirty minutes’ drive from PortAventura, Spain. The construction of this theme park is a joint effort by the Spanish Consortium Anheuser-Busch.